The Gro Company is a global nursery brand, known and loved for our innovative and award winning sleep solutions for babies and young children. We create innovative, stylish and extremely high quality products that are fantastic value too. You may know us for our original product, the multi-award winning Grobag, the No1 baby sleep bag brand in The UK and Australia which has changed the way babies are put to bed. A massive 99% of Grobag users would recommend them. Now equally famous is the rest of our innovative range such as the Gro-clock - one now sells every three minutes around the world! We work closely with our long term charity partners The Lullaby Trust, the leading safe sleep charity in the UK whose work has saved the lives of 20,000 babies since 1991. We are proud that our partnership has donated over £850,000 to date and has reached hundreds of thousands of parents with safe sleep advice and materials every year. 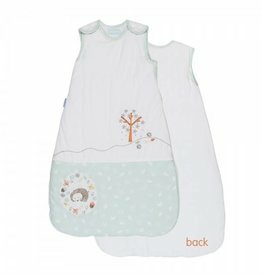 Grobag is also uniquely endorsed by leading safe sleep charity The Lullaby Trust. The Gro Store, our own retail site sells our full range of products with the widest range of designs and sizes. As a growing business with offices in the UK, China and Australia, we are reaching even more parents and their children around the world with Gro products. 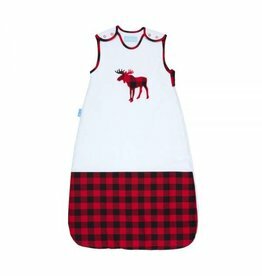 The Canadian Moose Grobag sleeping bag was designed to celebrate Canada's 150th birthday! 100% Cotton Jersey with polyester filling. 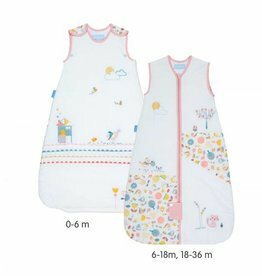 The Dolls House Grobag sleeping bag features pretty hearts and a little girl and her kitty peeking out of the windows. 100% Jersey Cotton with Polyester fill. The Folk Farm Grobag sleeping bag features a friendly farmland print. 100% Cotton Jersey outer with polyester fill. 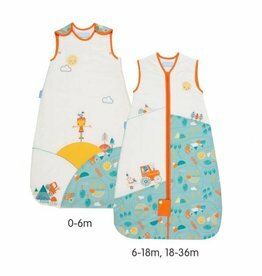 The Folk Garden Grobag sleeping bag features farm animals and a sweet garden print. 100% Cotton Jersey outer with polyester fill on 2.5 tog bags. The Hibernate Grobag sleeping bag features a sleepy little hedgehog snuggling in for a winter's snooze in icy tones of blue and white. 3.5 tog poly velour. The Orla Kiely Birds Grobag features a flock of birds in shades of olive and pink. 100% Woven Cotton with Polyester fill on 2.5 tog. 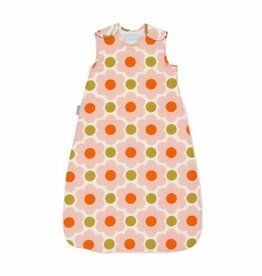 The Orla Kiely Daisy Spot Flower Grobag features a garden of flowers in shades of coral, pink and olive. 100% Woven Cotton with Jersey lining. The Sweet Dreams 0.5 tog travel Grobag features sweet treats and candies in shades of pink. Vent in back for 5 Point harness. 100% Woven Cotton. 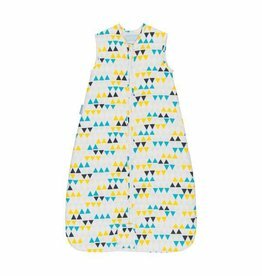 The Zig Zag Grobag sleeping bag features a geo print in navy, blue and yellow. 100% Woven Cotton outer with Jersey Cotton lining. 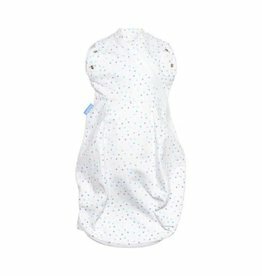 The Grosnug in Grey Marl is a 2-in-1 swaddle & sleeping bag that is perfectly sized for newborns from 5-12 lbs. The Grosnug Make A Wish is a 2-in-1 swaddle & sleeping bag is perfectly sized for newborns.